It’s easy to find a charity. Swing a stick and you’ll hit some organization, somewhere, raising money for some cause. But many want to keep it truly local, and help the neighbors around you or the charities that operate right in your community. Check out some of these organizations below doing awesome work in Durham. 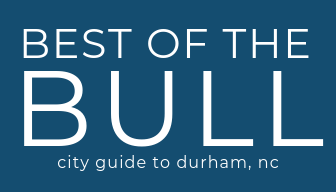 Here at Best of the Bull, we’re proud to support a number of local nonprofits through our Shop Durham program. You also can help support them when purchasing one of our Shop Durham cards. By using one of the coupon codes below $5 of your purchase will go directly to them AND you get 10% off your order! Win-win! Would you like to feel a more direct investment? There’s also opportunities to donate time through volunteering! CWS Durham welcomes refugees and immigrants from around the world into lives of freedom, hope, and opportunity in the Triangle. They work with community partners to educate the wider community, advocate for immigrant and refugee causes, and equip new refugees and immigrants for long-term success. Since 2009, their staff and community supporters have helped uprooted people find security and opportunity in their new home of North Carolina. Last year alone they resettled 151 refugees into the Triangle community and provided critical services for hundreds more. Duke Homestead is a non-profit, tax exempt corporation supporting Duke Homestead State Historic Site’s development through fundraising, advocacy, volunteer support and membership. The three main things that keep Duke Homestead up, running, and serving the public are volunteers, donations, and one amazing support group. Giving your time is one of the most valuable things you can do. If however, you cannot give your time, making a donation to the site is an equally valuable way to support Duke Homestead. Since 1991, Scrap Exchange has been collecting materials from local businesses and residents and distributing these reclaimed resources to educators, artists, makers, and students through a variety of programs. The organization is an economic engine for entrepreneurial activity built around materials reuse and waste-recovery. It creates green jobs and workforce development opportunities through a range of community partnerships. Their creative reuse arts center contains a retail store, an art gallery, a Design Center to host classes, a Make N Take classroom for open studio art-making, and much more. Hope Animal Rescue is a nonprofit organization in Durham, North Carolina that gives sick, elderly, and scared animals a chance at life. The 100% volunteer-run rescue was started by mother and daughter Cathy and Ashley in 2013 with a commitment to preventing the killing of adoptable animals. HAR volunteers visit overpopulated rural shelters with high kill rates all over the state rescuing senior dogs and dogs with medical or behavioral issues. With the help of over 60 volunteer fosters, HAR provides safe housing, training, and medical treatment (including surgeries, vaccinations, preventive care, and spaying and neutering) for hundreds of dogs annually. Last year, over 300 dogs were rescued from North Carolina shelters and adopted into loving homes. Medical treatment for the animals is costly and 75% of the rescue’s budget is used for medical expenses. Flea and tick preventives alone, for example, cost the rescue $5,000 per year. Communities in Schools of Durham works within DPS, supporting students and their families to decrease the dropout rate and increasing graduation rate. Within the schools they partner with, Site Coordinators work with teachers and administrators to identify students with the most risk of dropping out. Through ongoing evaluations and integrated services, they craft a plan with these students to help them achieve their utmost, setting them up for a bright future. But their work doesn’t stop there. They also provide parent workshops on childhood development, engaging students in summer reading, offering a safe and fun after-school environment, and so much more.